There's a ton of info on how to build a website on the Web. Most of it is useless. We will show you why and point you in the right direction. You should know the facts before diving in to creating a Web business. And, of course, each of these “make your own website” sites will suggest to you which host to use, which site design programs to use and the best ways to market your site. They all will earn a commission with each and every purchase you make! Over 96% of all websites want to sell you something. This in itself is not bad. In fact, this is generally good. It is to their advantage (make more money) to list several suppliers for you to use. Plus, it’s not as simple for you to develop a profitable business. HERE’S THE POINT of stating the above. NOWHERE do these millions of website-building promoters EVER show you PROOF that what they promote WILL WORK! People are generally predisposed to wanting “Free” and “Easy.” Oh, and they want to make money Quick. What are the results of being sucked in? Over 99% of all websites are lucky if they are ever found (except by the webmasters relatives). FACT: Do you know that around 70,000,000 people who build website businesses use WordPress? It has nearly become second nature for the entrepreneur when thinking about building an online business. They also host about 35,000,000 websites. Do these WordPress Web-based websites get traffic, which, of course, is the key to any Web business? As you would expect WordPress hosts some high traffic sites. But what about seeing the monthly traffic from all their hosted sites? To add salt to the wound, nowhere on the WordPress site could I find where they showed any Proof that using their methodology would create a successfully high ranking site on the search engines (that’s how you get found and make money). Still think WordPress is terrific? After multiple false starts to building the kind of educational business website that I wanted, I used Solo Build It (SBI)…and you found me! In fact, over 100,000 entrepreneurs use SBI. In a nutshell, here’s SBI’s answer to WordPress. Now, that’s impressive! I couldn’t say it any better. First, you should judge any claim that proposes to teach you how to build a website by whether they show you PROOF that what they say will allow you to achieve a high ranking on the search engines. Again, any claim promoting your success must show you proof that it leads to your creating a business website that will draw traffic and get found by Web searchers. Without proof, it is just smoke. Period. Second, at a minimum any website hosting, website designer and website marketer must show you case studies of their success, and more importantly, their client’s success. Providing you actual case studies about real people who have used “their stuff” to create a website allows you to view multiple approaches to making a profitable Web business. Third, any provider encouraging you to use their recommended product to allow you to “create my own website” must give you access (allow you to contact) persons who have actually used their product before you purchase it. This allows you to contact those individuals and ask questions. You want to know if the product your considering purchasing is any good or not. Pretty basic stuff, right? Without finding the above three elements incorporated into anything you’re considering buying, you’re just shooting in the dark. This is not the right road to success for your proposed business website. As mentioned above, I use Solo Build It (SBI) to build this educational business website. I strongly recommend that you consider SBI to build your own ecommerce website. SBI has these four unbeatable benefits. No website building experience of any kind is required: A step-by-step Action Guide is given to you. Your hand is held throughout the entire how to build a website process. Plus, SBI does all the SEO technical stuff automatically for you. An unbelievable feature called Brainstorm It: The bottom line is SBI guides you in choosing the perfect niche for your business. Brainstorm It is also a “keyword” search program that is better than any in the marketplace…even Google! These are strong words but true. 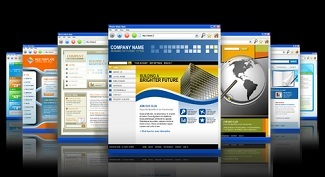 All the “business” website building tools you’ll ever need all in ONE place. Yes, there is nothing left out. They host your site as well. See for yourself that SBI has EVERYTHING to show you how to build a website that gets Found! Everything you need for one LOW Price. For less than $1 per day you have it all. There are never any extra charges, no hidden fees, and no up charges for anything. Period. And SBI continues to update and make your small business website building simpler and simpler. SBI has changed my life forever! It will yours too! I am so ecstatic with my how to build a website experience with SBI, that I promise to help you any way I can to help make your website business profitable…FOR FREE. I believe strongly that we are put on earth to help others. This is a mission I am on. So, please just click on Pay It Forward . Free help is just for the asking. These free ebooks are a goldmine of proven information to help you be successful in your online business. Thank you for visiting How to Build a Website That Get's FOUND. Best Website Building Course Ever! Here's Proof. Why Just Build a Website. Make Your Website a Business.